More information can be found at The Norse Catering website. Bure Valley is a ‘Healthy School’ and balanced diets are encouraged as part of a healthy lifestyle. 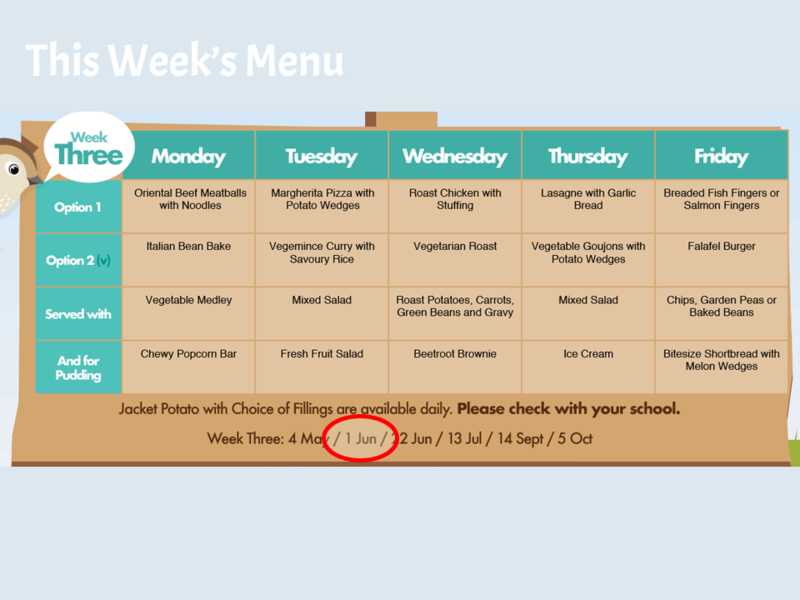 Our healthy and nutritious two-course school meals are prepared daily, with both a meat and a vegetarian option offered. If your child has any special dietary requirements, please let us know. Alternatively, children can bring a packed lunch from home. Please note: if a child forgets their packed lunch or dinner money, the school will provide a meal on the understanding that reimbursement will be made the next day. The daily charge for a main meal and dessert is £2.20 (the value of a free meal token). Lunches can be paid for on a daily basis or in advance. Advance payments (weekly, monthly, half-termly or more) can be made by ParentPay (see below) or by writing a cheque made payable to ‘Bure Valley School’ for the relevant number of days, with a note outlining the pupil details, and placing them together in the box beside the main entrance door. If your child is absent, payment for that day will be rolled over on their account. The school promotes healthy eating and encourages healthy snacks such as fruit, nuts and dried fruit. Chewing gum and carbonated/fizzy drinks are not allowed. Water is available throughout the day for all pupils. Please only send drinks in plastic bottles or cartons - no glass bottles.